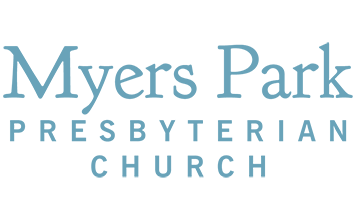 Myers Park United Methodist Church is seeking applications for a Communications Coordinator. This person will be an integral member of the communications team at a large membership church which seeks to better utilize digital media in disseminating its values, mission and opportunities. Provides the primary administrative support for the Communications Director. Produces timely and attractive church-wide publications and electronic correspondence at the direction of the Communications Director. This is an exciting opportunity with growth potential. • Assists with implementing the goals of the Communications Ministry in accordance with the mission and strategic objectives of MPUMC. • Assists Communications Director with church-wide communications and administrative duties as needed. • Preparation and distribution (including digital distribution) of weekly, monthly and quarterly church-wide communications. • Assist with obtaining updated and attractive content for the website. • Helps to educate and train staff on communications ministry process. • Helps to generate and coordinate general church-wide communications. • Attends staff and leadership meetings as required. • Explore opportunities and support use of Realm (database) software as a communications tool. • Basic knowledge of database software. • Basic knowledge of Word Press management (web page management). • Basic knowledge of Adobe Design products. • An eye for design and basic layout. • Basic familiarity with various social media outlets (Facebook, Instagram, etc.). • Ability to work on and manage several projects simultaneously. • Flexibility of schedule (within reason). Email resume and cover letter to communications@mpumc.org.